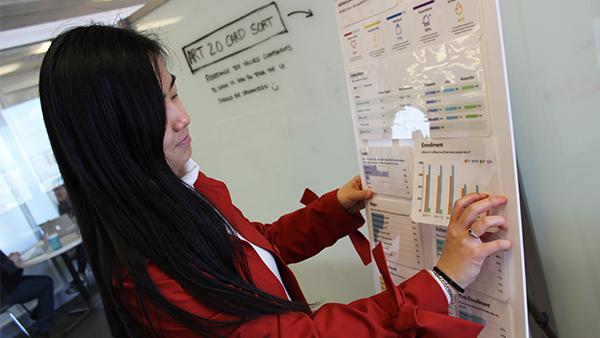 In a recent blog post, the Office of Academic Innovation describes how it employed “pop-up” usability testing as a valuable means to collect student feedback for making improvements to the course page layout of its data visualization tool, Academic Reporting Tools 2.0. Unlike traditional forms of usability testing—such as one-on-one interviews, focus groups, etc.—“pop-up” tests are free from the constraints of small, enclosed meeting spaces and a traditional Q&A format. Instead, these tests allow researchers to interact with users during their daily routine to encourage more interaction between participants and interviewers.